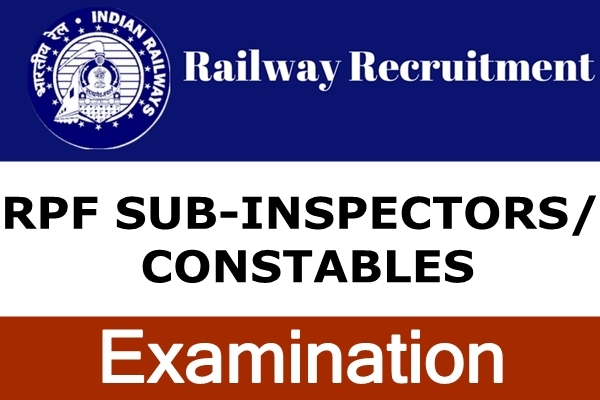 RPF Sub-Inspectors / Constables Exam acronym as RPF (Railway Protection Force) exam is conducted every year by Central Selection Board for the recruitment of unmarried Indian male eligible candidates for the posts of Sub-Inspectors and Constables Sub- Inspector in the Executive Branch and Fire Service Branch. Between 20 and 25 years for Sub-Inspectors. 18 to 25 years for Constables. Relaxation of upper age limit is as per rules. c) Weight Minimum: 50 kg for SC and 48 kg for ST. Note: Height of Gorkhas, Garhwalis, Kumaonese, etc., shall not be less than 160 cms (155 cms for females). Candidates must possess normal vision without glasses. Candidates having flat feet knock knee, squint eye or any other bodily defect shall not be eligible for appointment.